Property 2: Right On The Beach! Down the lawn onto the sand! Property 11: This is the one, pristine kiwi bach by the water! Property 13: Stunning views with beach access across the road. Property 15: OMAPERE BEAUTY A piece of paradise. OMAPERE STUDIO RETREAT: Tidy get-away for 2. Property 20: OMAPERE STUDIO RETREAT: Tidy get-away for 2. WISTFUL ON WAIANGA. GOLDEN HOKIANGA. SUN DRENCHED BEACHFRONT HOLIDAYS. Property 27: WISTFUL ON WAIANGA. GOLDEN HOKIANGA. SUN DRENCHED BEACHFRONT HOLIDAYS. Omapere Suncatcher - 3 bedroom house, with extensive sunny deck. Property 34: Omapere Suncatcher - 3 bedroom house, with extensive sunny deck. Secluded house with breathtaking panoramic views. Property 35: Secluded house with breathtaking panoramic views. 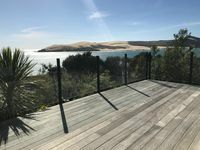 Explore the beautiful Hokianga area from this comfortable self contained flat. 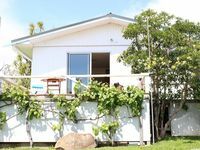 Property 39: Explore the beautiful Hokianga area from this comfortable self contained flat.